New Delhi : An Indian smart devices brand Xolo, which has launched in early 2012, has launched its latest Q600 Club smartphone in India for a price of Rs 6,500. The Android 4.4 Kitkat-based smartphone features special box speakers with DTS support. The XOLO Q600 Club is being marketed as the perfect device for listening music owing to its special box speakers that utilise Dolby’s DTS surround technology. The XOLO Q600 also serves as a smart remote thanks to the preinstalled Peel Smart Remote app. Apart from controlling your television set, the XOLO Q600 Club can control other electronics devices such as DVD players, air conditioners and DVRs. The XOLO Q600 Club sports a 4.5 inch IPS panel display with FWVGA (480 x 854 pixels) resolution and pixels per inch figure of 218. The display does not have any protective glass cover. Underneath the hood the XOLO Q600 Club runs a rather dated Android 4.4.2 KitKat on a MediaTek MTK 6582M chipset that houses a 1.3GHz quad-core processor, a 416MHz Mali 400 MP2 GPU and 512 MB of RAM. Connectivity options include support for WiFi, Bluetooth, USB, and WLAN. It further supports dual-SIM. 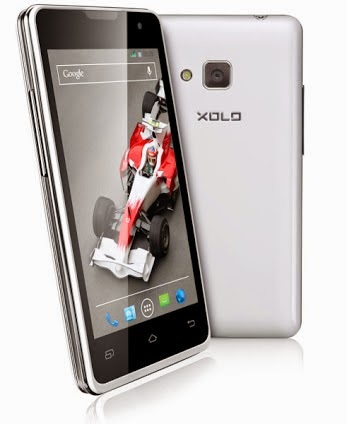 The XOLO Q600 Club is listed on the XOLO website for Rs. 6499 but you can get the smartphone at prices as low as Rs. 5100 from various online shopping websites.